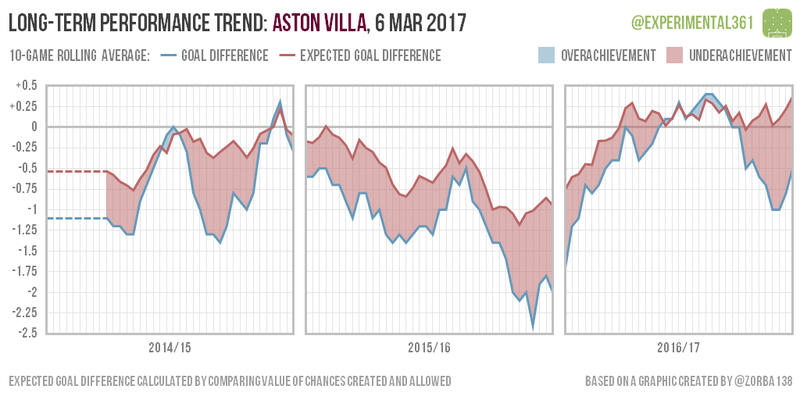 I thought that it was about time I updated the long-term trend graphics I introduced at the end of December to see how each club is faring and which might be over or under-achieving. 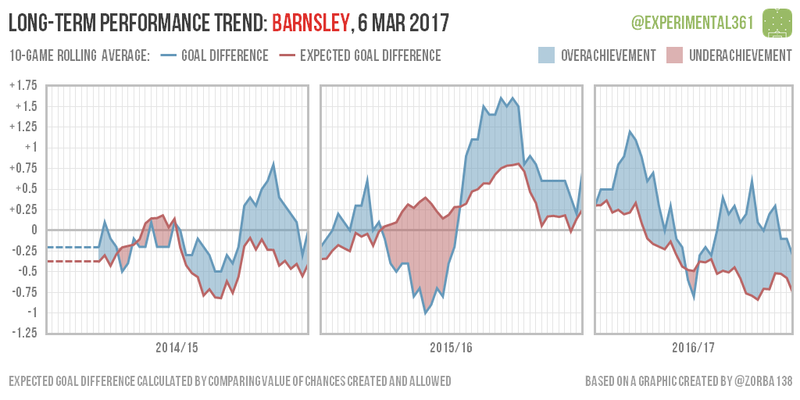 These are explained in full here and briefly below. 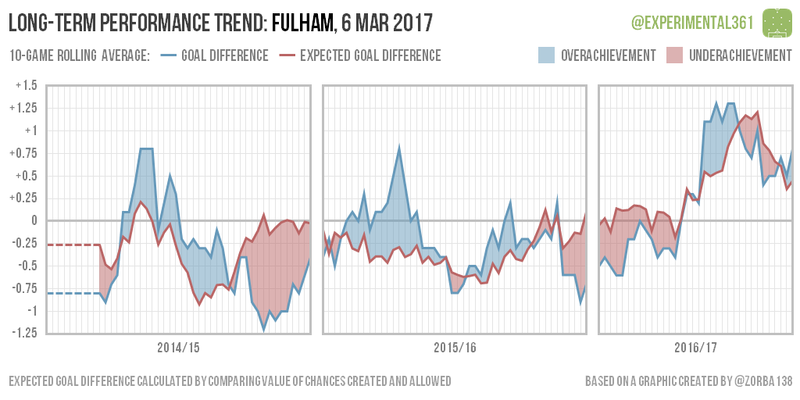 These are adapted from a very similar design by the excellent Swedish blogger Zorba138 intended to track a club’s long-term performance and whether this was an underachievement or an overachievement based on the balance of chances created. 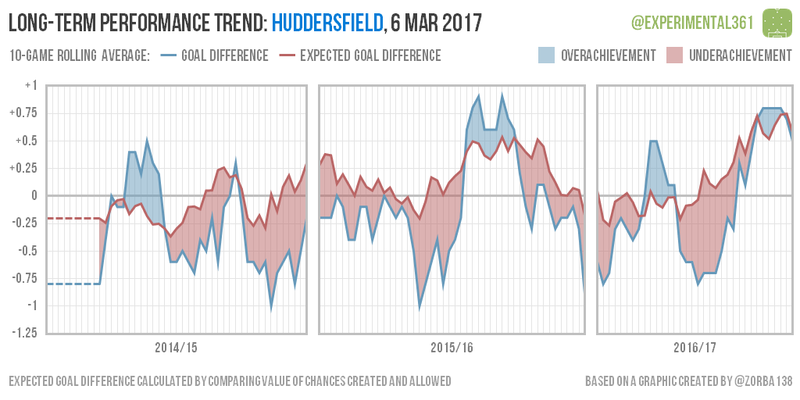 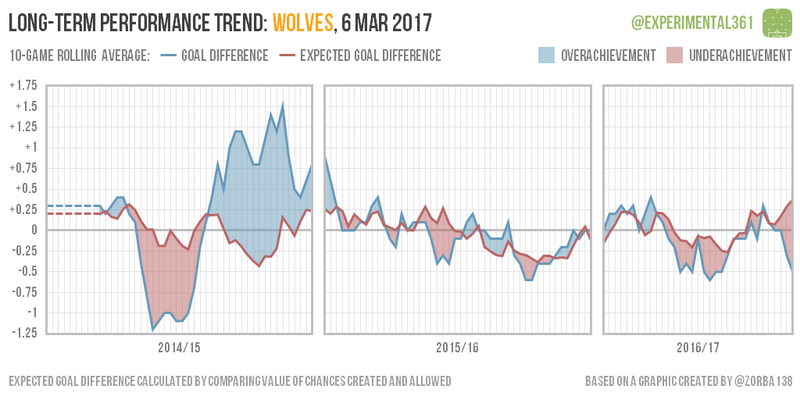 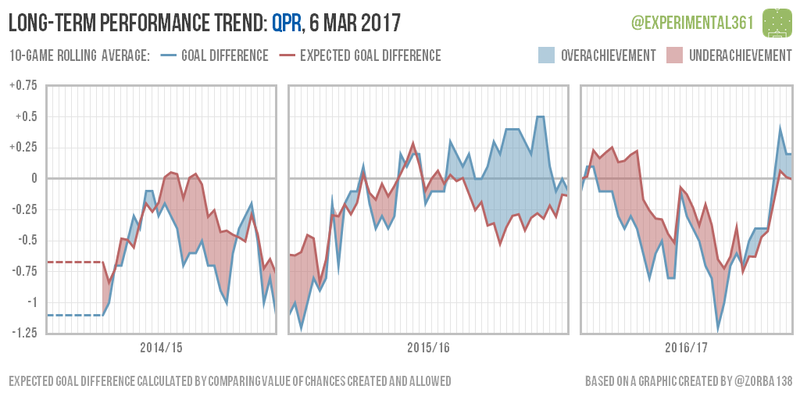 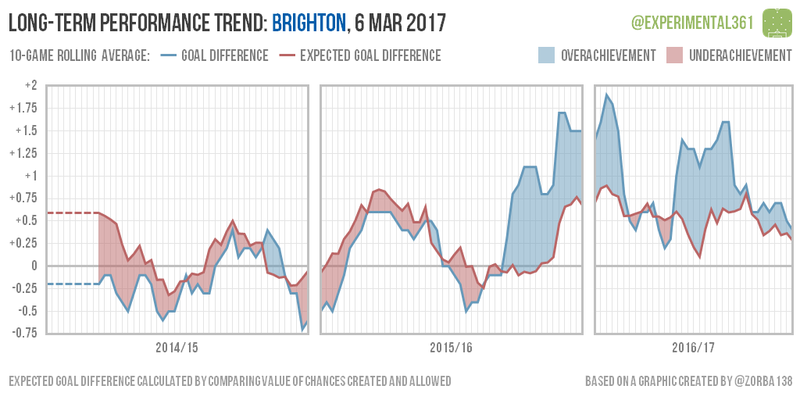 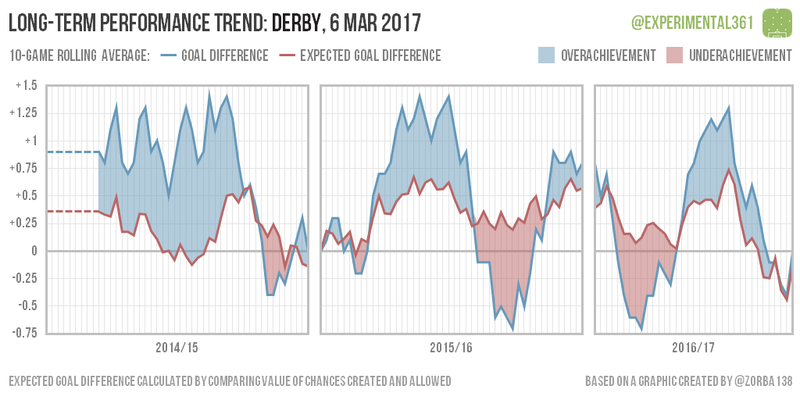 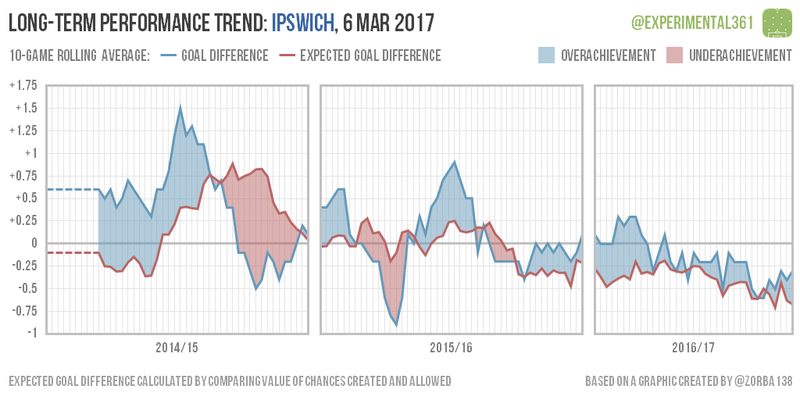 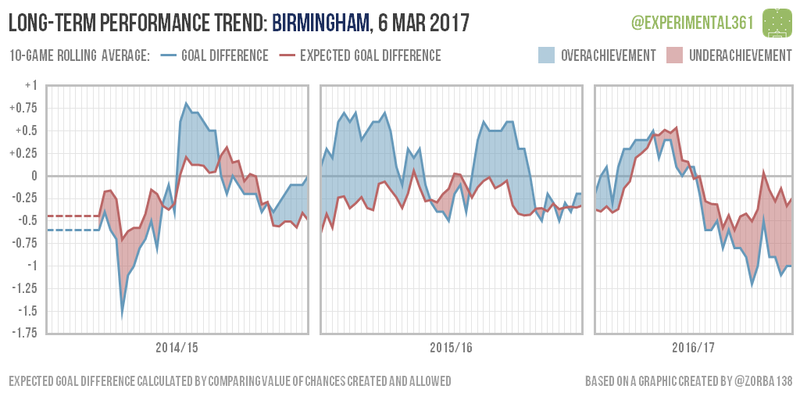 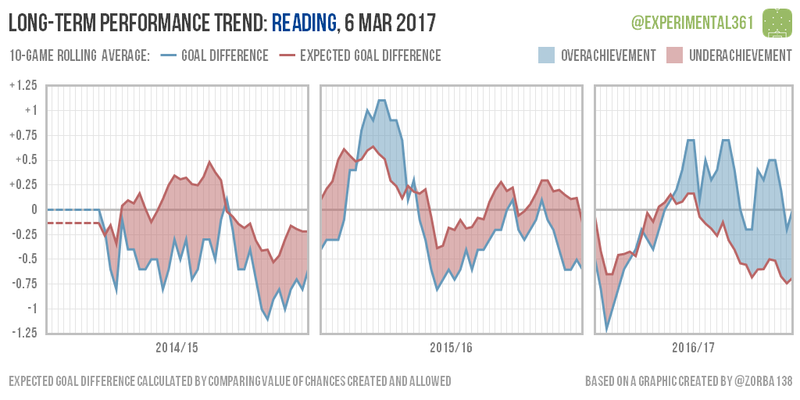 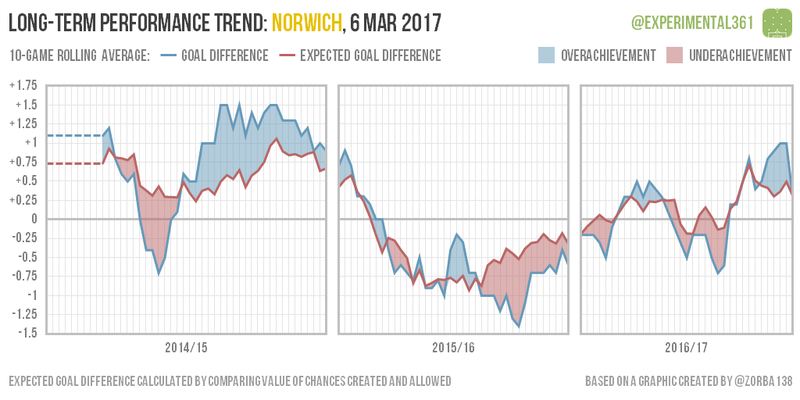 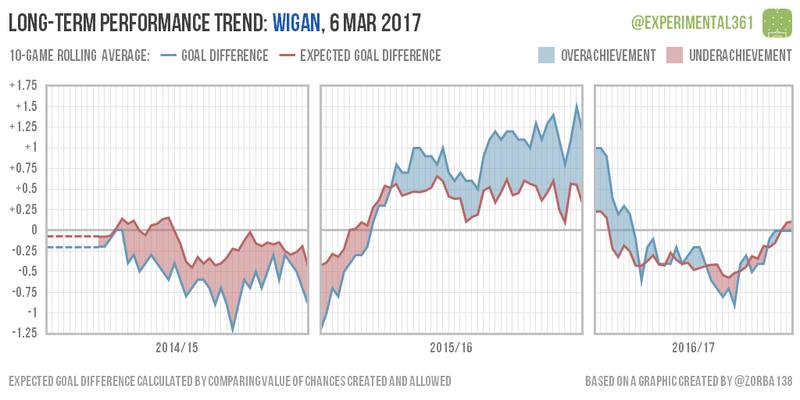 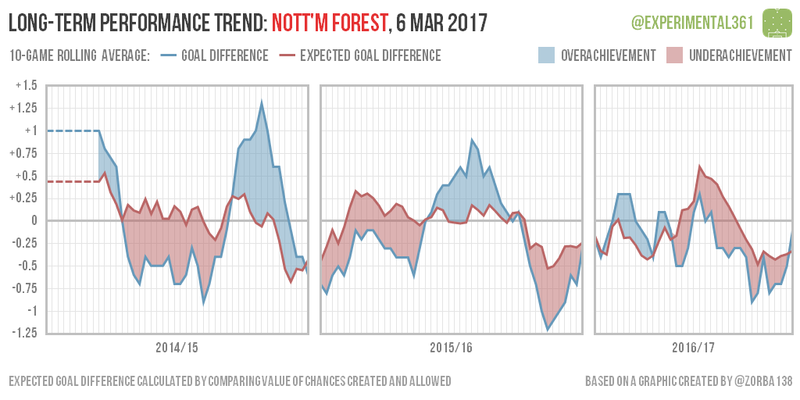 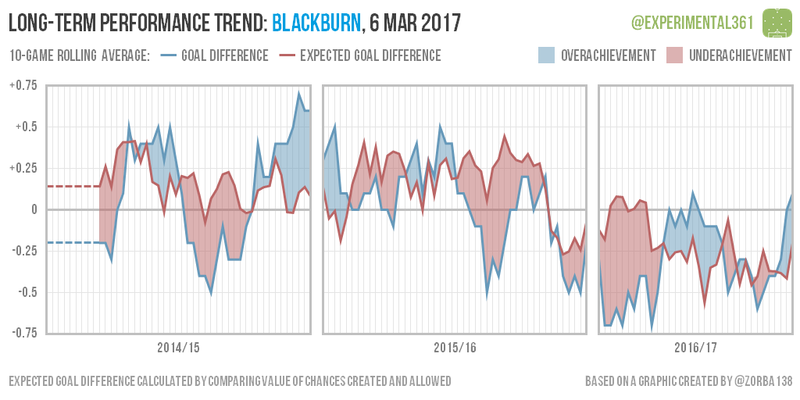 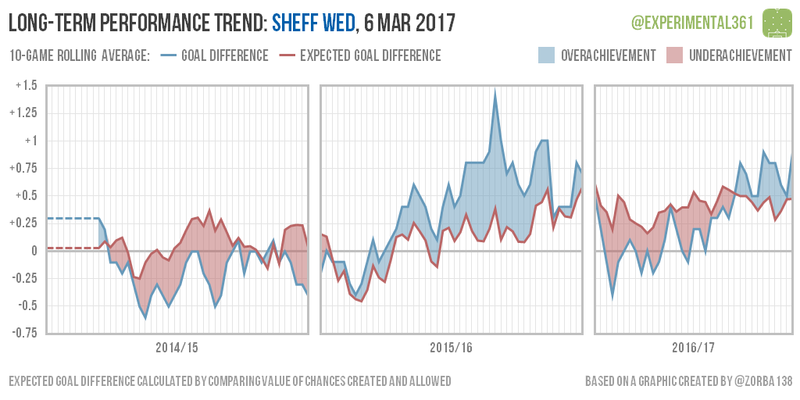 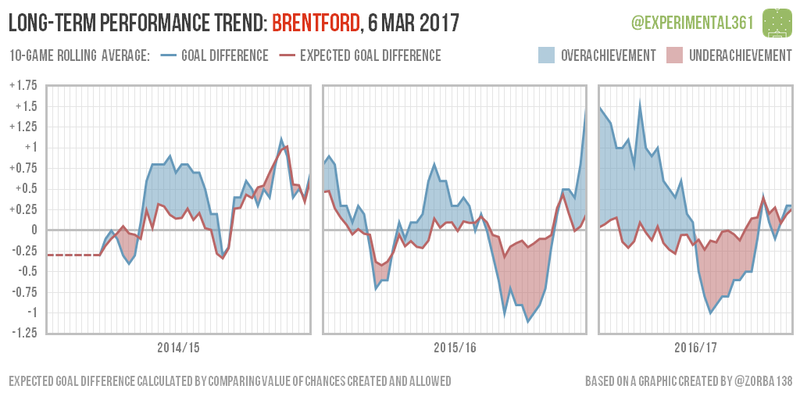 The red line shows the rolling average of their expected goal difference, based on the quality of chances they’ve created and faced. 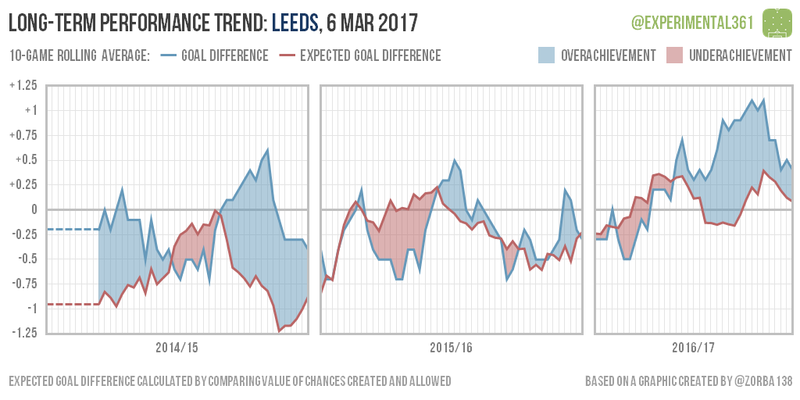 Comparing these two allows us to see not only how a club’s performances have changed over time, but also whether there were any differences between the balance of chances created (a useful measure of underlying performance) and goals scored. 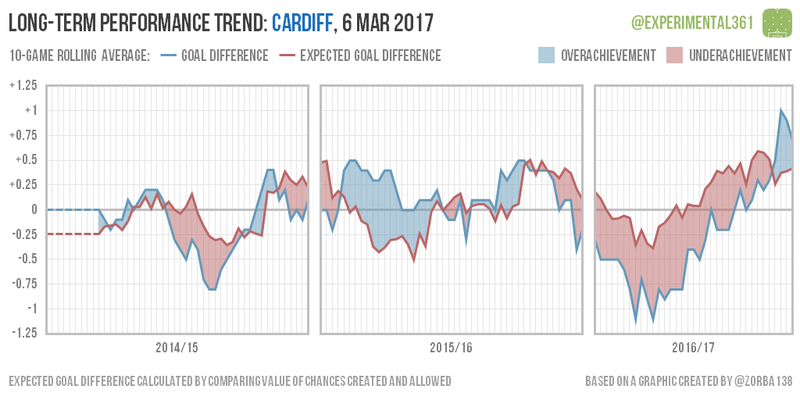 Red shaded areas show the reverse, where the balance of chances was healthier than the actual goal difference, signalling underachievement. 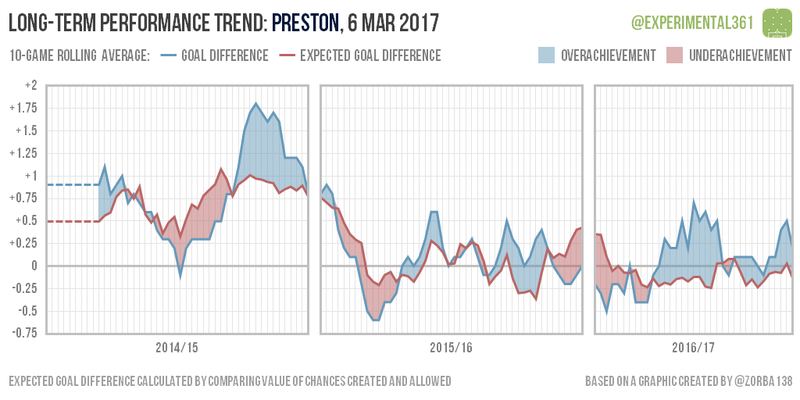 Over the long term we’d expect the two lines to converge unless there’s a significant difference in a club’s attacking or defensive skill compared to the average for the division. 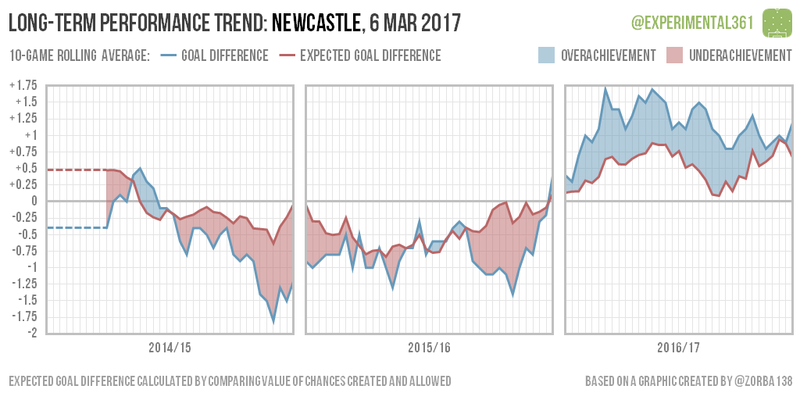 We can’t tell from the data alone whether skill or luck is the cause, but the longer a difference persists the more I’d suspect the former. 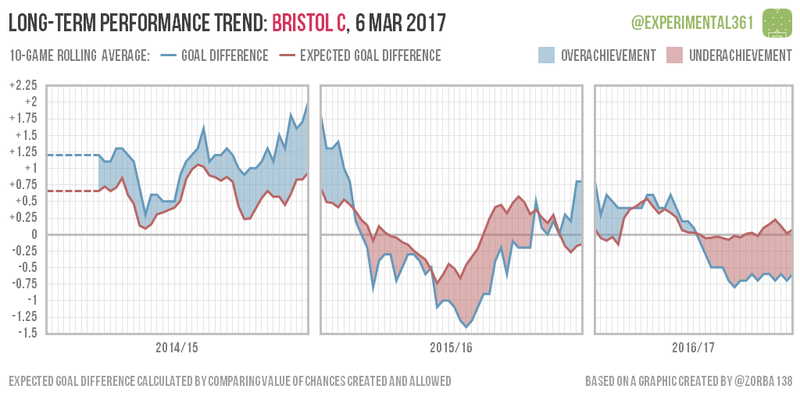 While their graph is one of the more interesting ones, I’m tired of picking on Reading, so instead let’s have a look at Bristol City. 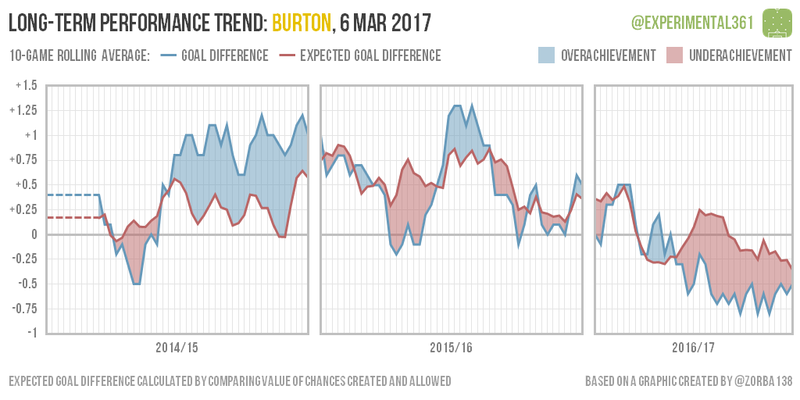 Manager Lee Johnson is under a lot of pressure thanks to their poor run of results but the balance of chances they’re creating and allowing looks pretty healthy. 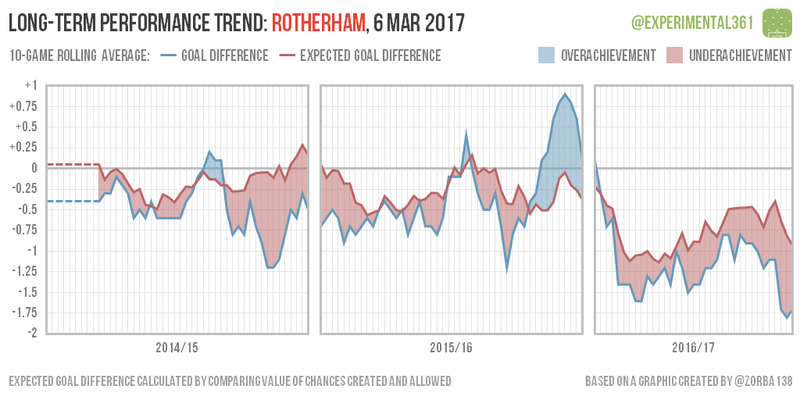 This seems like the sort of problem that it will sort itself out if nobody panics, although with the Robins having slipped into the bottom three there’s no guarantee of clear heads prevailing.